In traditional Edda society, it was inevitable that politics would delineate the perimeters of socio-economic and general development relations. Igbo political structure was largely defined by blood ties with which some patrilineal links could be established. Social organization began with the family as the prime unit with possibilities of aggregation up to the level of the village, village groups/towns or community. Villages therefore, have blood links which make everybody related to everyone else. 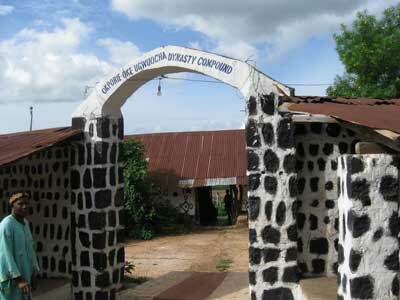 Government at the level of the compound is very popular. In the “Nzuko” or “Ogbako Ezi” (Compound Assembly), each agnatic line is represented by the head of the patrilineal group or his lieutenant; with the oldest man as head of the compound. The oldest member of the compound (Eze Ezi) presides at every meeting concerning the “Ezi,” attends to the gods of the compound and represents it in the affairs of the village. Decisions at the “Ogbaku Ezi” are normally reached by consensus, but the influence the head of the compound commands depends largely on his sagacity and perspicacity. 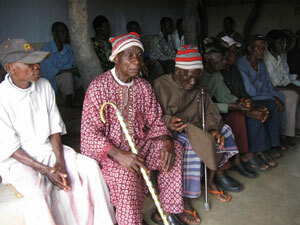 Matters not agreed upon amicably are referred to the village assembly (Nzuko Ogo). Next in the political hierarchy of the Edda is the village (Ogo) assembly at which the various Eze Ezi and their lieutenants represent their “Ezi.” Also, any male adult is free to attend the Ogo assembly so long as it will not create rancour. The village assembly is presided over by the oldest member of the most senior Ezi (that is the eldest son of the founder) and like at the compound level, decisions at the Ogo assembly have to be reached by consensus. The assembly functions both as a legislative and judicial body, while executive roles are left to selected able-bodied young men of the village or age grade (Ukejiogo) at any given period. When a decision is reached, it is the duty of the “Oku Ogele” (Royal Messenger) to inform, with his metal gong (Ogele), the entire village – going from one compound to the other. He does this, of course, by the order of the village head. The head of the village assembly also presides at adjudicative matters and is responsible for attending to the principal gods of the village. He may however, delegate matters concerning the smaller gods to the Chief Priest who will consult with him and his cabinet. The Ukejiogo have to be in attendance at both the village and adjudicative assemblies and contribute to their deliberations. Where decisions are not reached on any matter, it is referred to the town assembly. Continue reading: The Polity in Traditional Edda Society (Part 2 of 3).